Background/Info: Set up in the late 90s by Wolfgang Voigt and Michael Mayer the German label Kompakt got a deserved recognition in the wider fields of intelligent ambient music. Some worldwide famous artists like The Orb, Scanner, Gus Gus and many more got signed on Kompakt. The label is also renowned for this “Pop Ambient”-series. Bands: Scanner, Yui Onodera, Kenneth James Gibson, Soulsavers, Jens-Uwe Beyer, Max Würden, Anton Kubikov, Leandro Fresco, Thore Pfeiffer. 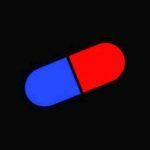 Content: Nine artists have been featured for this new edition of “Pop ambient” featuring 12 songs. The title of the sampler might be a clear indication about the content and influences of this album compiled by Wolfgang Voigt. I however have to say it sounds less pop, but definitely pure pop-like! Most artists perfectly know the sound formula to create a sophisticated and fascinating electro-ambient composition. It often sounds pretty astral-like, but still very cinematographic. + + + : I will not analyze the songs in detail, but globally speaking I’ve been –once more, impressed by the elaboration of the compositions. The tracks feature many little details and subtle arrangements. Like all high labeled ambient music this is the kind of music that rapidly appeals to create an own fictive universe. Some parts are more into dark atmospheres while other cuts are total reverie. Speaking for myself I have a preference for the tracks of Soulsavers and Anton Kubikov. There also is an interesting track composed by Scanner together with Yui Onodera. – – – : The only item I’m missing is ‘pop’ music, but is it really a miss? 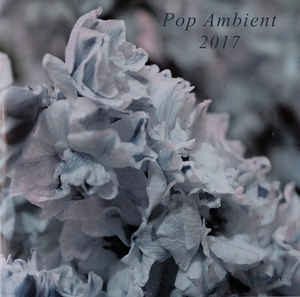 Conclusion: “Pop Ambient 2017” is a visionary experience in sound, but first of all a fascinating and creative ambient exposure of ambient electronics. Best bands: Soulsavers, Anton Kubikov, Leandro Fresco, Maw Würden, Scanner + Yui Onodera.